If Jesus was crucified on Good Friday, and raised on Sunday, then how can it be said that he was in the grave for three days and three nights? This is a question that stumbles a lot of Christians, and sometimes fuels the skeptic. The problem is clear: if Jesus died around 3 pm on Friday, and was raised around 6 am on Sunday, then he was only in the grave around 39 hours. That’s a far cry from the 72 hours of a three day/three night burial. How does this add up? The first order of business is to examine the scripture from whence we get our three-day/three-night understanding. It comes from a single verse: Matthew 12:40. In context, Jesus’ authority had been challenged and so He likened his ministry to that of the prophet Jonah. Just as Jonah had been three days and three nights in the belly of the fish, Jesus explained that He would be three days and three nights in the heart of the earth. We can see that the preferred method of explaining the resurrection is to indicate that Jesus was raised on the third day. But why would Jesus liken his burial time to that of Jonah of three days and three nights? Well, I believe that it is easy to see that in that single instance Jesus was using figurative language. Obviously, the earth does not have a “heart,” nor did He intend to be buried at its center. Therefore, since Jesus was using figurative language in that passage, I don’t believe we should press it too hard for a literal understanding. I believe that He was answering their question about His authority by likening it to a story with which they were familiar. It is plain to see that the religious leaders correctly understood Jesus’ words. After His death, they went to Pilate and asked that a detachment of guards be posted at the tomb, because Jesus had claimed he would rise “after three days” (Matt 27:61-63). Okay, but was Jesus raised on the third day? Before I answer that question, allow me to demonstrate something that I believe is fairly important. That is, the first-century Jewish mind did not reason with time in the same way that our modern, western minds do. A really good example of this is found in Acts 19. In Acts 19:8-10, Luke records details of Paul’s ministry. He suggested that Paul remained in Ephesus for a total of 2 years and 3 months. However, in the following chapter, as Paul is recounting that same time frame, he states that he remained there “for three years” (Acts 20:31). I believe that this passage gives us a unique glimpse into the first-century Jewish mind. Although Paul had spent 2.25 years in Ephesus, he unapologetically rounds it up to three years. Luke, who recorded this account, would certainly have noted the difference, yet it was not corrected. I believe this is because both Luke & Paul saw that any part greater than one number could rightly be understood as the next higher number. We westerners don’t think like that, but apparently they did. One last important matter to keep in mind: the Jews reckoned that a new day began at sundown, not midnight. We follow Roman reckoning, which calculates a day running from midnight to midnight. The Jews counted a day as running from sundown to sundown. If Jesus was crucified and then buried before sundown on Friday, then that would be day one. Saturday – or the Sabbath – would be day two. Sunday – or the First Day of the Week – began on sundown, and was the day that Jesus arose. That would be day three. 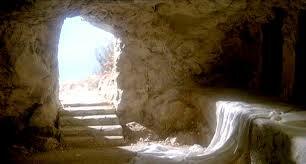 Therefore, it would be completely accurate for the first-century Jew to say that Jesus arose on the third day.